Chiggers is the story of Abby coming back to another summer camp. This year a few things are different. Her good friend Rose is now a cabin assistant, which makes her busy and absent much of the time. Her other good friend Beth came in with new piercings and is buddying up more with Zoe. Her first bunkmate Deni gets sent home early because of chiggers. Her new bunkmate is Shasta, who likes fantasy novels, wears a bandana, dates a high school senior on the internet, and also claims to have been struck by lightning. And to top things off, Abby has a crush on a boy named Teal. This graphic novel was written and drawn by Hope Larson, who is already an acclaimed creator. She has won both the Ignatz and Eisner Awards and has published work in prestigious publications like the New York Times. Larson has published four other graphic novels, including Mercury, and is now at work on a graphic adaptation of Madeline L’Engle’s A Wrinkle in Time. These interviews with Zack Smith and Kiel Phegley shed more light into her work on Chiggers. Reviews of this book have been very positive. 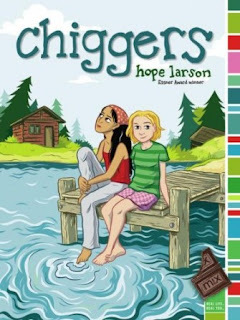 Johanna Draper Carlson commented that Larson's art uses a "beautiful visual thinking that reaches the reader emotionally." Eva M wrote that the artwork was "simple and expressive" and that she got lost in the narrative and relatable summer camp experiences. Jack Bauerstein83 noted that while not everyone (i.e. young boys) will find this book interesting, it well deserves checking out. A preview is available here from Larson. The book's publisher Simon & Schuster posted a different preview here. 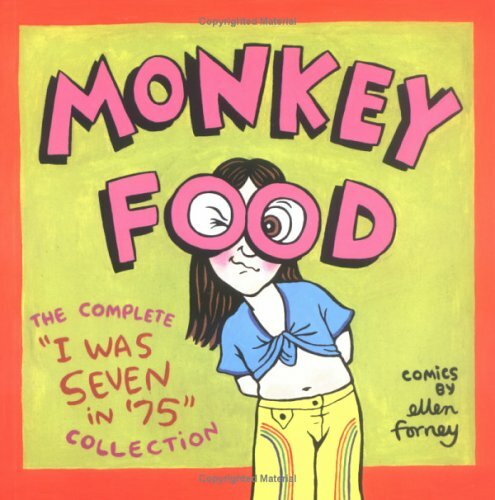 Monkey Food is a treasure trove of 1970s memories. Fads such as CB radio, reading self-help books like You're OK, I'm OK, feathered hair, and waterbeds are all touched upon. The impact of the free-wheeling 1960's is also felt: Ellen and her family are a bit liberal to say the least. They belong to the Unitarian Society, vacation at a nudist camp, keep marijuana in the house, and host some pretty wild parties. Holding all of these references together are the very human portraits of the Forney family. Whether they are suffering through road trips, visiting mosquito-plagued campsites, or saving each other from flaming microwave ovens, their personalities really show through. 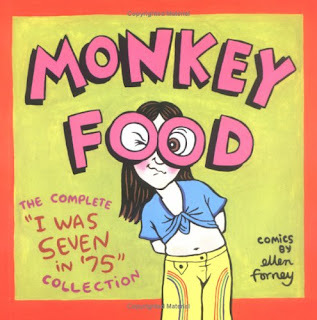 I Was Seven in '75 was created by Ellen Forney, an experienced artist and graphic novelist who has published a more adult collection titled I Love Led Zeppelin. She also worked with author Sherman Alexie, providing the illustrations for his well-received YA novel, The Absolutely True Diary of a Part-Time Indian. Reviews of this book have been very positive, particularly focusing on the vibrant and expressive artwork. Johanna Draper Carlson admires the loving and non-judgmental portrayals of the family members and who also appreciates the ability to browse this book because of its anthology format. Bob's Comic Reviews loves how Forney captures the feelings of childhood and called the book "just about perfect." A preview for this and Forney's other works is available here. Osamu Tezuka is a giant in the world of manga who created hundreds of titles, including Astro Boy (The Mighty Atom) and a biography of Buddha. There has been tons published about him in Japanese, but not so much in other languages. Katherine Dacey helps some of us out with her bibliography of the growing body of English-language commentary on his works. Thanks to The Comics Reporter, where I found the link! 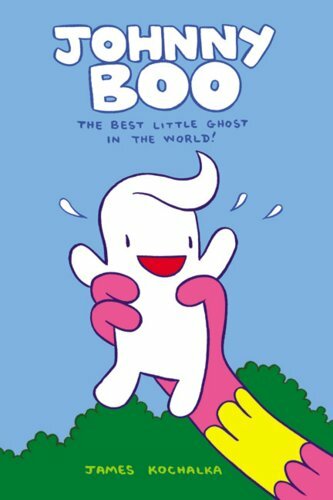 This book is a collection of Gordon McAlpin's webcomic, which has been regularly published on Mondays and Thursdays since 2005. It follows the employees of a local movie theater, chronicling their interactions with customers and each other, and there are lots of movie-based jokes, pranks, and fumbling attempts at romance. The main characters are: Kurt, the jokester manager; Jason, the ticket-taker with highfalutin tastes; Becky, the projectionist with a heart of gold; and Melissa, another projectionist and Kurt's girlfriend, who is often the voice of reason. Aside from capturing the flavor of working in a customer service job, McAlpin also does a great job with the characterization of people growing up and finding their places in the world. He is an illustrator who specializes in digital publications who also does work in printing and advertising. 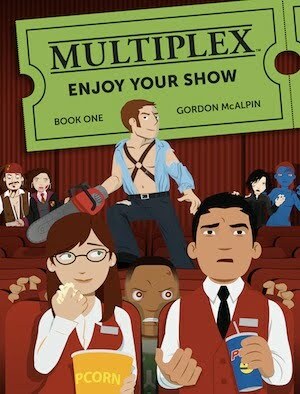 Multiplex has been his long-term project, and thus far he has 5 books available online. He funded publication of this book by raising funds using Kickstarter. 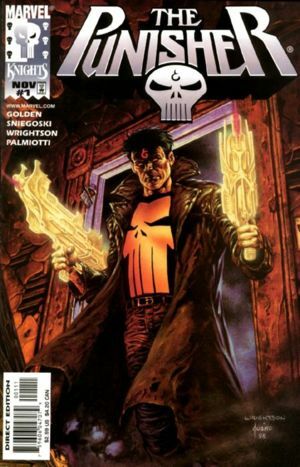 McAlpin talks about why he decided to do a print version of his work in this Newsarama interview. This first book is full of the early entries in the series, with McAlpin offering commentary on his creative decisions. From the reviews, it seems that this comic's appeal depends on its audience. Johanna Draper Carlson reviewed the book and saw some features that could use improvement. She also commented on how the strip evolved over time for the better but also speaks to how some of the characters seemed stereotypical to her. On a different note, Jason Sacks wrote that "it's fun to see how the characters grow and change." Xaviar Xerexes wrote that although it may be tougher to enjoy these early strips than the later ones, they do serve as a good introduction to the comic. As for me, this is one of the few webcomics I regularly follow, especially for the relatable and developed characters. This development has taken time though, and I am not sure this collection captures enough of it. 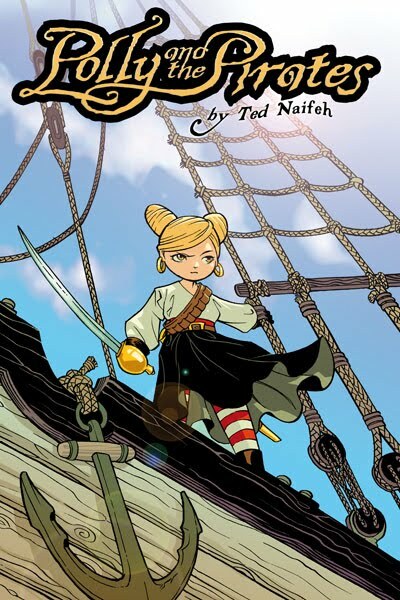 The online version of the comics in this collection is available here, along with character biographies, guest strips, and other bonus features. 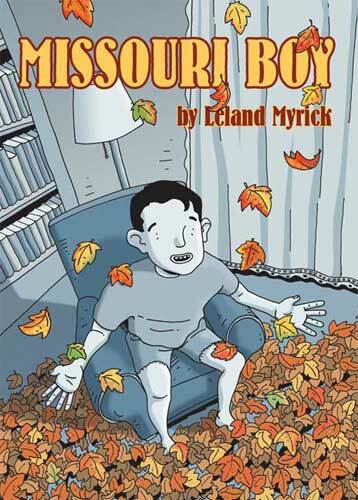 Missouri Boy is a book that brings up the big debate over why these books are called graphic novels in the first place. More a graphic poem than a graphic novel, it captures a number of moments from a 1960s American childhood: the sounds, sights, and smells of shooting off fireworks on the 4th of July, the feel of getting buried in fall leaves, and the sensations and silliness that come along with first crushes. The vignettes here are snapshots from a life, arranged chronologically, but they contribute to a larger picture of growing up, learning to deal with difficult situations and unkind friends, and setting off on one's own. The author/writer is Leland Myrick, an accomplished illustrator who was nominated for the Ignatz Award and Harvey Award for Promising New Talent. His work has been published in many places, and he received a 2004 Xeric Grant to complete his book Bright Elegy. Missouri Boy has received good reviews, but as we look at a sampling from sources such as Publisher's Weekly, Kirkus Reviews, and Booklist , there is also a reservation. These reviews all point to the great artfulness, poetry, and emotional timbre of the book, but they also note how it may be more well received by adults looking back on their own childhoods rather than younger readers. This story begins in 1958 when Geoffrey was 4 years old and starts to learn about violence. One of his brothers' jackets gets stolen, and his mother sends the boys out to retrieve it themselves. She wants them to learn to take up for themselves and not live as victims. From this beginning, Geoffrey has to deal with escalating situations that come with living in a single-parent home in a rough neighborhood in the South Bronx. What follows is a series of lessons in survival. As he grows up and he comes into contact with more people, Geoffrey learns to navigate among the neighborhood kids, tough guys, schoolmates, and various shady characters. Geoffrey Canada first told this story in novel form. He has been associated with the Harlem Children's Zone and played a prominent role in the education documentary Waiting for Superman. He presents his autobiography as a model to address social issues, and here he is aided by Jamar Nicholas, an artist and educator who is also very involved with social justice. He is perhaps best known for his work with author Annie Auerbach on the Grosse Adventures series. The good will that follows Canada's novel mostly extends to this version as well. The Library Journal's Martha Cornog highly recommended the book for tweens to adults and also added that Nicholas "has judiciously focused on the personal end, and his semirealistic black-to-grayscale art has just the right lived-in-yet-edgy feel." 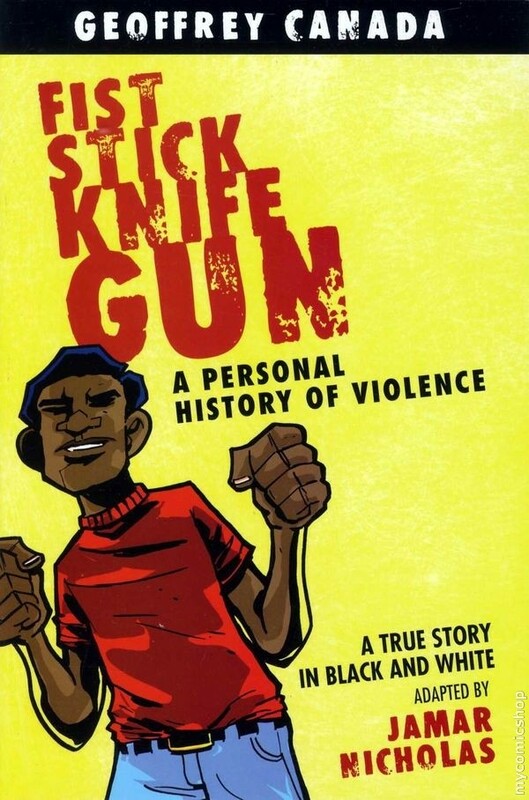 The San Francisco Book Review's Jamais Jochim remarked how well the flow of the story worked and also commented on the need for such personal narratives addressing gang violence. Reviewer Sean Kleefeld liked the book well enough but felt underwhelmed by an abrupt, hollow ending. Chapter 1 is available here as a preview from the book's publisher, Beacon Press. Yu the Great was an actual person, a dedicated civil servant who solved China's flood problem and went on to become emperor. He is considered the founder of the Xia Dynasty, the first dynasty in Chinese history and important as the beginning of a class society in China. 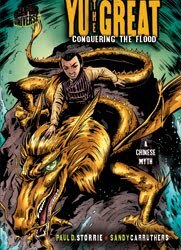 This version of his story draws from myths and legends and tells his story with a fantastical bent. Here, Yu is the son of dragon, can talk to certain magic animals, can fly, and finds magic soil to help him in his endeavors. Many of the elements of his historical story, which come from a time period with little records, are told via symbols and figures. This is another entry in Lerner Publishing's Graphic Universe series of myths and legends. 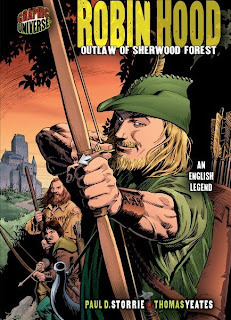 The story is told by Paul D. Storrie, a frequent contributor to the series and the author of a growing number of comics and graphic novels, including adaptations of the Justice League cartoon and a series based on the Robin Hood legend. 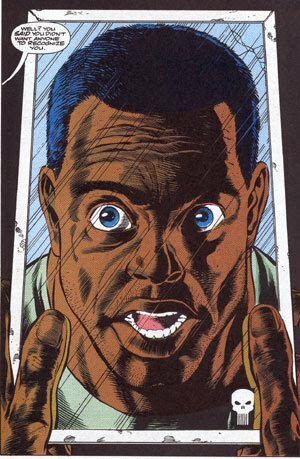 Sandy Carruthers drew this adaptation. He is also a frequent contributor to the Graphic Universe series of books but is also known for his work on Captain Canuck and, most famously, Men in Black, which became a blockbuster movie starring Will Smith and Tommy Lee Jones. 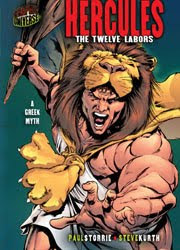 The comic book style art and story makes this a vivid book, and it is certainly a good comparison piece to read with the typical Greek and Roman myths we see. These two reviews by Chris Wilson and another author at the Graphic Classroom point to some of its positive features and also give some suggestions for potential classroom uses. The reviewers at Goodreads give a different impression: that it is a middle-of-the-road book. Like other entries in this series, it does rely on a good amount of academic research, and it has a glossary, further reading list, and other features that lend themselves to classroom use. More information, reviews, and a preview are available here. 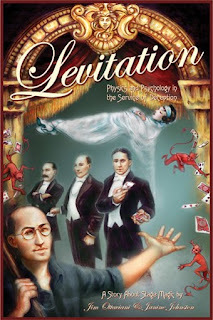 Prolific science graphic novel writer Jim Ottaviani continues his science of the unscientific series with this look into the history of stage levitation. The book follows this sensational trick from its origins in the work of John Neville Maskelyne ("The Levi") who entranced turn of the (20th) century British audiences with his stage play The Entranced Fakir. His act was stolen and brought to the United States by Harry Kellar (who had tried to buy the act from Maskelyne to no avail) with fantastic success. The act was improved upon by engineer Guy Jarrett who wrote a much-used guide to magic and who also narrates the story. When Kellar tired of touring, he sold his act to Howard Thurston, a charismatic showman with a penchant for card tricks. Thurston went on to being one of the biggest acts of the 20th century. In this book, Ottaviani focuses not only on how levitation tricks are done but also on the personalities of all the magicians who used them. As with his other works, this book is thoroughly researched and is chock full of information. The art was provided by Janine Johnston, a freelance artist with many credits, including Star Wars and Poison Elves comic books. Her gray-scaled art looks almost water-colored and provides a great atmosphere for the narrative. These two interviews shed more light on the two creators' work on this volume. Reviews of the book have been largely positive. Johanna Draper Carlson recommended the book, commenting on Johnston's art and the great number of magical mysteries revealed within these pages. Chris Mautner offered that the story was full of slightly awkward exposition but was ultimately winning because of its "educational glimpses into areas of history that have mostly been ignored by the general public." 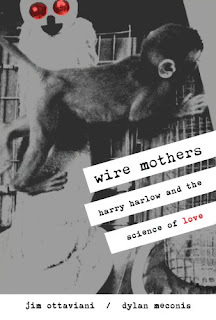 An excerpt is available here from publisher GT Labs. A study guide and review links can be found here. For teachers interested in teaching this book, there are a host of materials here from the Get Graphic website. The ensuing disaster that followed in the wake of Hurricane Katrina cast much light on life in the US. It questioned the reliability and judgment of FEMA and raised questions about continued class and racial disparity, culminating in what then-President George W. Bush called the "worst moment of his presidency," getting called out on national television by Kanye West. In all of this fallout and confusion, what seems to get lost are the stories of the people who lived in and through the storm. 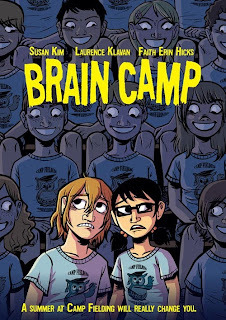 This graphic novel tells their stories. A.D. New Orleans began as a webcomic but is here expanded and developed into a longer narrative. It begins on August 22, 2005, one week before Katrina hit, and focuses on five stories: Denise's family has lived in New Orleans for generations, and she and her family try to weather the storm in a hospital and then, when that becomes untenable, the Convention Center. Leo and Michelle are a Bohemian, urban couple who decide to take off to shelter but return quickly to survey the aftermath. Abbas is an Iranian-born businessman who decides to weather the storm with his fishing buddy Darnell so that they can protect his shop and also have a good story about experiencing a "real hurricane." Kwame is the son of a pastor whose family flees the storm but then returns to facilitate assistance to those in need. Finally, The Doctor stays in the French Quarter and throws a hurricane party, secure in the fact that this high point of the city will take little damage. He also takes an active part in helping people once the weather passes and the horrible damage caused by massive floods takes its toll. This graphic novel portrays the destruction but mostly focuses on the human stories, showing what it was like to be there, trapped on a roof. Or what it was like to come back to find all your possessions ruined. Or what it was like to see your home be portrayed like some foreign battle site on the nightly news. It also shows what life was like for people who were trapped and who were neglected for days before help came. Finally, rumors about looting and roaming bands of thugs are also addressed. It is necessarily, but not gratuitously, graphic with its portrayal of stark conditions and people's language in extreme situations. 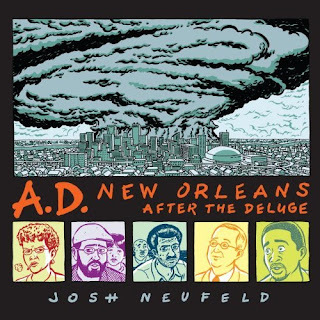 Josh Neufeld is a comics journalist who worked at the time as a Red Cross volunteer and was deployed to Biloxi, Mississippi to help hurricane victims there. That experience moved him to write this story from those most affected by the storm, so for this book he interviewed actual people and portrayed their accounts as accurately as he could. He specializes in non-fiction work and was along-time contributor to Harvey Pekar's American Splendor. His work has been recognized with a Xeric Foundation Grant for his travelogue A Few Perfect Hours, and he was also nominated for Harvey and Eisner Awards for this book. Along with these nominations, A.D. New Orleans has received much praise. Wired Magazine's Todd Jatras called it "a sterling example of comics with a social consciousness." It has also received substantive write-ups in The New York Times, The Wall Street Journal, and Newsweek. Reviewer Sean Kleefeld comments that the book is worth buying, even if the web version can be read for free. Extended excerpts, chapters from the webcomic, discussion postings, related videos, reviews, and many other helpful and interesting links can be found on the book's official page. 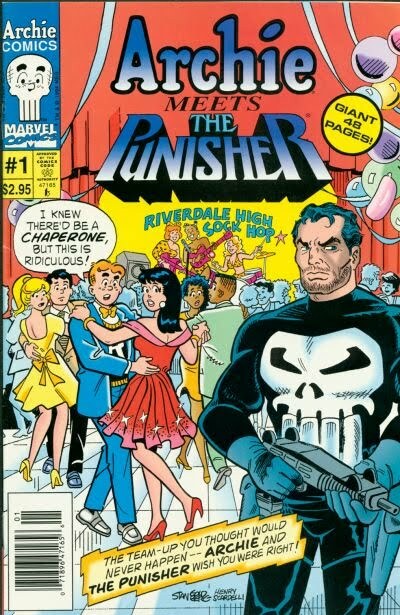 This charmer of a book was written and drawn by Ted Naifeh. He has created a number of graphic novels and comics series, including the Eisner Award nominated series Courtney Crumrin. Currently, he is writing a sequel to Polly and the Pirates as well as collaborating with Holly Black, author of the Spiderwick Chronicles and a bevy of other YA fantasy books, on the Good Neighbors trilogy. He talks about his career and works in this interview. Reviews of this book have been very positive. Brian Cronin called it "delightful." Cindy Vallar commented that it is enjoyable to readers young and old. Reviewer Greg McElhatton very much enjoyed the art and wrote that "Polly’s a great addition to everyone’s library; she can set sail any time and I’ll be on board." A 25-page preview is available here from Oni Press. A shorter preview for the yet unpublished sequel is available here. As a fable or a parable, this book begins with a basic yet significant premise: the Rabbi's cat has gained the amazing ability to speak. The problem? He only tells lies. In response to this awful behavior, the Rabbi forbids the cat to spend any time with his daughter, lest he fill her head with falsehoods and nonsense. This crushes the cat who seeks her approval and affection and so he asks the Rabbi to teach him the Talmud so that he can become a better creature. The theological implications of the cat's request boggle the Rabbi's mind, especially when he starts asking for a Bar Mitzvah. Dealing with this situation requires compromises by all parties involved, especially when a young rabbi comes courting the Rabbi's daughter. The creator behind this Eisner Award winning graphic novel is Joann Sfar, a French artist with more than 100 books to his credit since 1994. Sfar has won many awards for his work in Europe and the US, and he is well known for his series of Sardine in Outer Space and various Little Vampire books. He has a pretty sardonic sense of humor, as seen in the English version of his homepage. The story takes place in the 1930's in Algiers, while it was still under French control, and it is replete with complicated religious and philosophical matters. This particular volume encompasses a wide range of story, as it contains the first three volumes Sfar published in France (there are 5 total). This dense yet energetic work has received some very positive reactions. 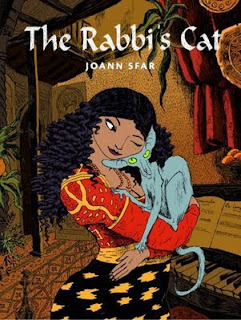 Reviewer Douglas Wolk praised the strength of Sfar's level of detail regarding personalities and life observations. 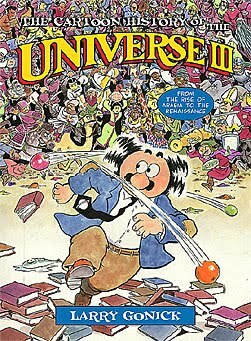 The Comics Shrew wrote that the book is not traditionally pretty but that it "on the whole is quite lovely and highly recommended whatever the status of your beliefs." NPR's Laurel Maury called it "a rare book that makes talk of art, faith and humanity as exciting as a rollicking thriller." 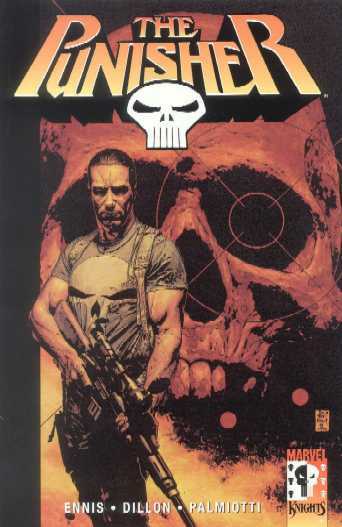 This graphic novel has also been made into a soon-to-be-released motion picture. A preview is provided here from the book's publisher Pantheon Graphic Novels. What does it mean to be "good?" How does one know when they have "grown up?" These are two of the major concerns in this graphic novel. The majority of the plot centers on Jon, a 20-something who is drifting about after college. He has lost touch with his friends, set aside his aspirations as a musician, and is gearing up to join his girlfriend in Peru to live charitably. 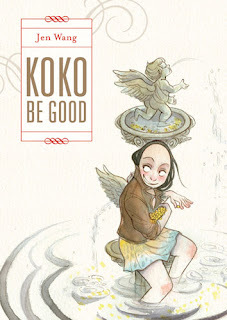 Koko, a tempestuous and energetic woman bursts onto the scene, causing havoc while striving to make her impression on the world. Accompanying her much of the time is Faron, an acrobatic Latino teenager who is troubled by his family situation and his secret love of musicals. All three of the characters are having a hard time figuring out their places in the world. 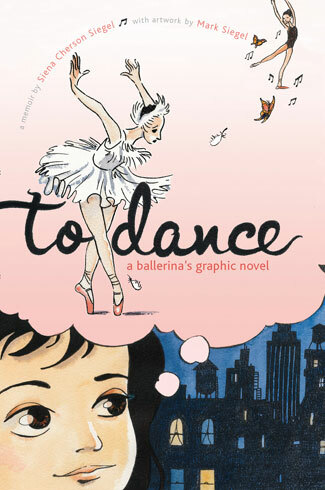 This beautifully illustrated graphic novel debut was created by Jen Wang. She graduated with a Sociology degree from SFSU and has worked various jobs before her graphic novel work. Koko Be Good started out in different form as an online comic, and Wang has a number of shorter works online. This interview sheds more light on her work and inspiration for this book. Reviews have been largely positive. Kristin Fletcher-Spear was impressed by the art and the characterization, particularly of Faron. Greg McElhatton wrote that Wang has "taken her talent to a new level with this book." Comicsgirl commented on all the intricate details in the art and story that make the book work. It seems that Jen Wang's graphic novel career is off to a great start. A preview, a reading group guide, and some reviews are available here from the book's publisher First Second. A video preview is available here from the author. 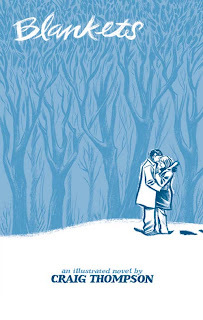 Sean Kleefeld posted this well done review of Sarah Stewart Taylor and Ben Towle's book I wrote about earlier this year. Check it out! This book tells a pretty exceptional Greek myth: girl is born and rejected by father who wanted a boy. She is left in the wilderness to die but is raised by a she-bear. Afterward, a family of hunters take her in and teach her to be human, but she is the fastest, strongest human ever. S0 she becomes a great hunter and goes to the Oracle at Delphi to hear her fortune. Warned of a disaster that would accompany marriage, she decides she does not need any man. This rare example of a powerful, positive female in Greek mythology is retold in this entry from Lerner Publishing's Graphic Universe series. The story was done with an eye to historical detail in terms of the clothing and locales (no one who go on record to say if the gods and goddesses were portrayed accurately). 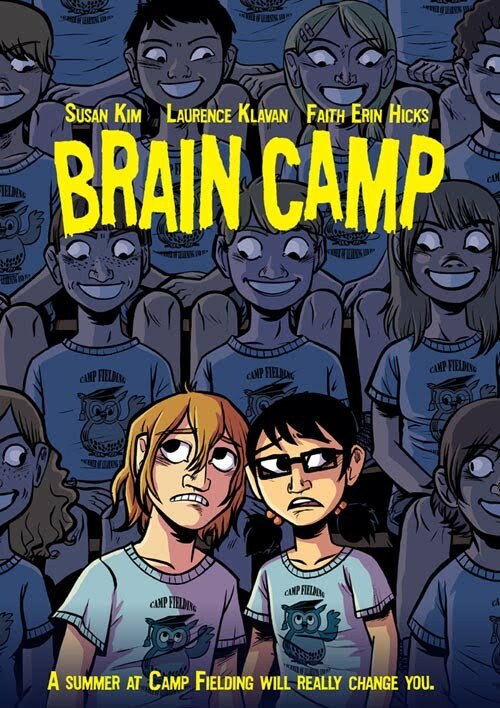 It was written by Justine and Ron Fontes, a married couple who writes children's books and graphic novels. They have written a few other titles from this series and over 500 titles overall. 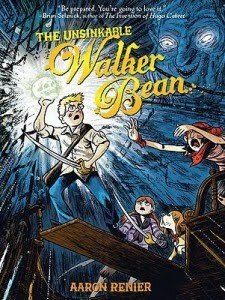 The art was provided by Thomas Yeates, the artist of the Robin Hood entry in the series as well as a long-time comic artist who specializes in horror and fantasy tales. It was difficult to find reviews for this book, but here is a rather short, glowing one from a younger reader on Amazon.com. I felt that this was one of the stronger books in the series, especially with the attempts to make Atalanta more personable and human than the cardboard characters usually found in such stories. Also, the academic resources included in the book make it ideal for classroom use. A short preview and more information about the book and authors are available here from the Lerner Publishing Group. 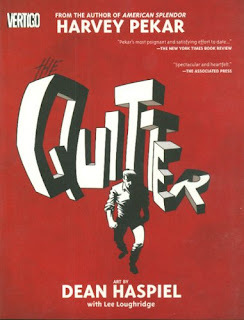 If this were a superhero story, The Quitter might have been called the Secret Origin of Harvey Pekar. A life-long resident of Cleveland, Pekar was a ground-breaking creator who brought memoir, ordinary life, and autobiography to the comic book world. His stories typically followed his job as a file clerk for a VA hospital, the people he interacted with there, his relationship with his wife, his daily routines, or the jazz music he so loved and appreciated. Pekar self-published his stories in American Splendor, a series of comics that have been coming out since 1976. The series featured art by underground comix legend Robert Crumb, who was an early supporter. It also attracted a great number of other artists who told Pekar's stories. He also wrote a few graphic novels, including Our Cancer Year, a chronicle of his battle with cancer that won the 1995 Harvey Award. His comic works were adapted into a movie that won the Sundance Grand Jury Prize and the FIPRESCI Prize at the Cannes Fim Festival. Pekar died in July of this year, and his life is properly celebrated in this obituary. The Quitter tells the story of Harvey's early years, from his days growing up in a Jewish/Italian neighborhood and learning to take up and fight for himself. He also detailed his coming up under very traditional, old-country Jewish parents, trying to fit in various neighborhoods, and his many undertakings. The reader follows Pekar from job to job and pursuit to pursuit with access to his private thoughts and feelings. This is a very honest and uncompromising look into the life of a young person struggling to find his place in the world, a person who messes up and who tends to quit when things get difficult. Although it portrays relatively mundane events the book is still compelling and evocative. 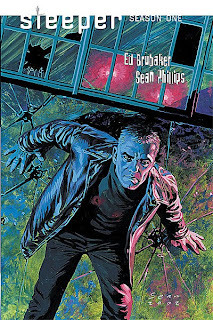 Pekar's contributor here is Dean Haspiel, a writer/artist who has numerous credits in comics, graphic novels, and movies, tending toward biographical works. Of late, he won an Emmy Award for his title designs for the HBO series Bored to Death. Like Pekar's other works, this one has been typically well received. The reviewer at Grovel liked Haspiel's attempts to capture the young Harvey but felt that this work was more for established Pekar fans than new ones. Blogger charlieblizz differed on opinion here and found the book's conversational tone very inviting. Rick K wrote that even though it is a thin volume "The Quitter has the heft of a full novel, only it is admittedly a lot faster, more fun and easier to read." A preview is available here from the book's publisher, Vertigo. 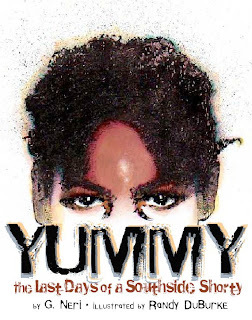 Yummy is the strong story of a news report many often see but seldom register, the youthful gang member who kills an innocent bystander and provokes local outrage. Yummy is Robert Sandifer, who in 1994 became a poster child for gang violence after being featured on the cover of Time Magazine. He was notorious for his young age as a gang gunman (he was 11), the senseless violence surrounding his life, and his involvement in the Black Disciples gang active in Chicago. He got his nickname for his love of Snickers bars and cookies. In the book we see that he was childish in other ways also , such as sleeping with a teddy bear and being prone to violent outbursts. The story is told from the perspective of a fictional classmate, but it is based on media portrayals, public records, and personal accounts and packs an emotional wallop. Yummy was written by Greg Neri who writes for middle graders and YA audiences, focusing on works for reluctant readers. He has published two other novels, Chess Rumble and Surf Mules. He writes about his reasons for writing Yummy in this interview and also on this page, which also has a number of positive reviews from Kirkus and other impressive organizations. The black and white art provided by Randy DuBurke sets a gritty tone and works well for evoking emotions. DuBurke has been a published illustrator for the better part of two decades, working for DC Comics in the late 1980s and early '90s but more recently focusing on children's books and graphic novels. His debut The Moon Ring won the 2003 Coretta Scott King/John Steptoe New Talent Award for illustration. The reviews for Yummy have been very positive. Doret commented on the craft of the book and the sadness and power of particular passages. The School Library Journal was impressed by the realism and hard questions the book asks in its detailed review while also providing links to interviews and further information. James Bucky Carter added that "It is not a fun read. But, perhaps it should be a required read. Expect to be angered and disturbed." A preview is available here from the publisher, Lee & Low Books. Kafka is part adaptation, part criticism, and part history of Franz Kafka's life and works. The Jewish Czech author is considered one of the great writers of the 20th century, credited with capturing the state of modern humanity in terms of industrialization, urbanization, and changing societal mores. The greatest sign of his importance is the adjective kafkaesque entering into popular use, a term that this book emphasizes. Among the roughly chronological account of Kafka's life, including his struggles with a domineering and abusive father and his mainly strange relationships with various women, are adaptations of his works. These include famous ones, The Metamorphosis and The Trial, but also shorter works such as The Burrow and his unfinished final work Amerika. This book was created as part of the Introducing series of graphic novels that covers famous authors, philosophers, scientists, concepts, and fields of study. It was written by David Zane Mairowitz who is famous for his plays, literary criticisms/adaptations, and radio plays. He was also one of the founders of the counter-culture International Times. The art was provided by one of the most celebrated and controversial comics artists, Robert Crumb. Crumb is famous for his underground comix work, creating Mr. Natural, Fritz the Cat, the album cover to Big Brother and the Holding Company's Cheap Thrills, and the "Keep on Truckin'" meme. He has been a long commentator on jazz and also on what he sees as the decline of American culture. Of late, he has produced a graphic adaptation of Genesis, the first book of the Bible. Given the successes of the writer and artist, it's no surprise to find many positive reviews of this book. 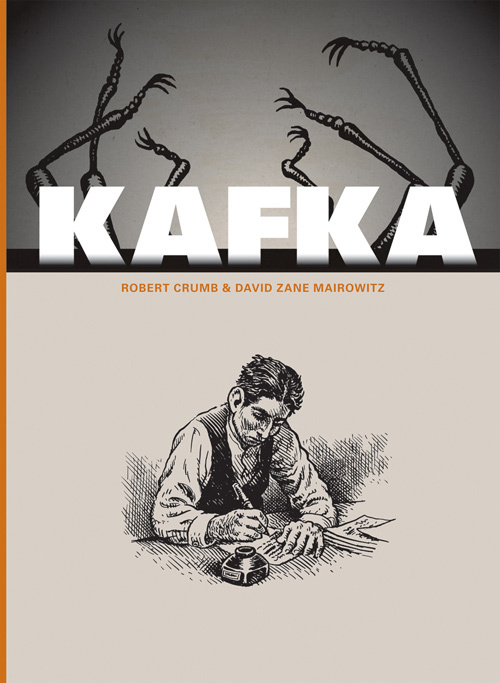 Brian Heater wrote that "Kafka is a terrific little book, and deserves to be embraced by those Crumb and Kafka fans." Chris Barsanti called it " one of the most exhilarating graphic works of the year." Giving a contrary take, and despite admiring Crumb's illustrations, Christian Perring was underwhelmed by the book. 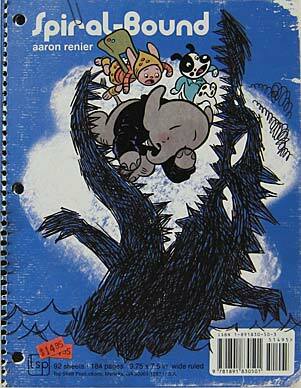 A short preview is available here from the book's current publisher Fantagraphics Books. Past editions have had different titles, including Introducing Kafka, Kafka for Beginners, and R. Crumb's Kafka.